Actually, I'd just like to say a thank you to (you) Torben, for keeping this community alive. I may only pop in every now and again but I am always thankful that it is here and for your efforts. Thank you Max! I'm a facilitator - what I do best is help others be great, so it's a pleasure to see this site being helpful to users. I only have an uncomfortable suspicion that there aren't very many actual users left, and that's a pity. Not because of this site, but because it's a product without equal that a fruit company decided to axe. So all site activity is encouraging! 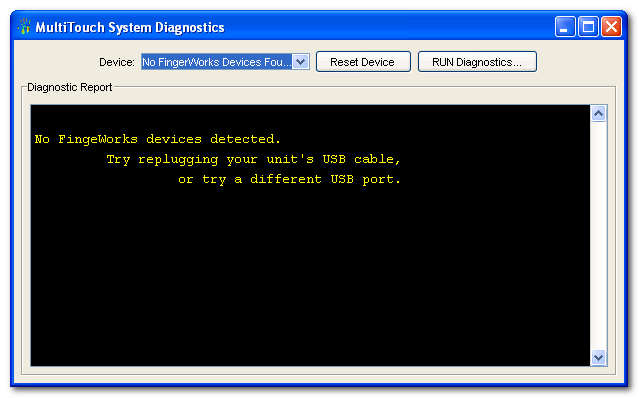 However, there's still the problem that the Fingerworks hardware is not recognized inside the virtual XP machine. 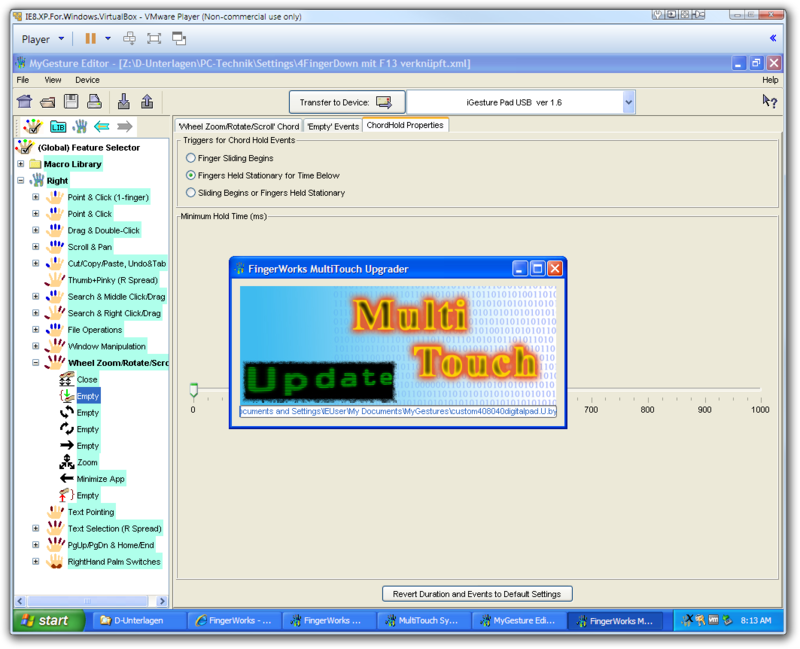 I mean, the Fingerworks hardware of course is working as mouse and keyboard in the virtual XP, but not recognized by the Fingerworks utilities. Had this problem been solved somewhere? I can't seem to find a solution on the forum. Last edited by David.P on 09 Feb 2015, 12:45, edited 2 times in total. 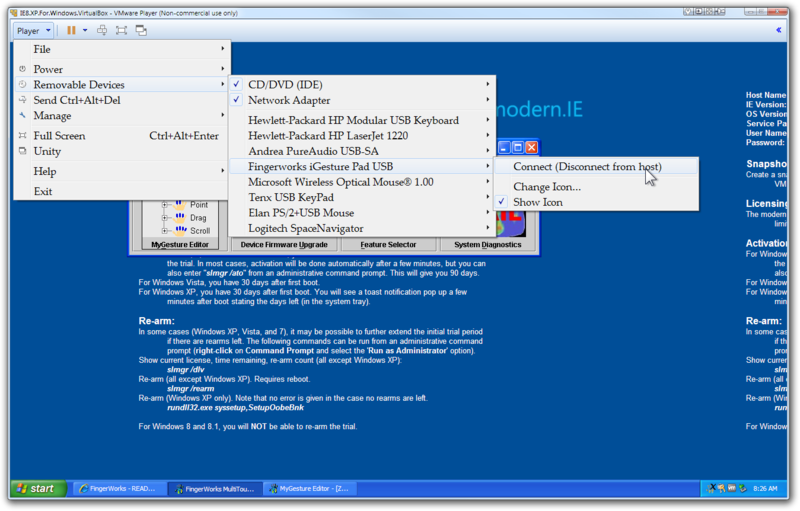 David.P wrote: However, there's still the problem that the Fingerworks hardware is not recognized inside the virtual XP machine. Well, I seem to remember that I had this working once, using WinXP on a Sun VirtualBox with Win7 as host system -- but I don't have any facts about this anymore! But the crux of the matter was that theVM host software has a way to map USB devices to the client, and I recall that the FW device has one device ID when it's in normal operation but a different ID when it's in DFU mode -- so the trick was to map both ID's to the WM client! That of course meant that I had to connect a different physical kbd&mouse to the host system in order to be able to control the host at all. I used some plain wireless kbd/mouse combo set for that. 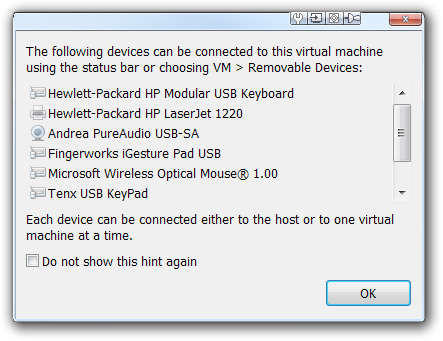 The "Virtual PC Integration Device" is something else since it does not disappear when the Fingerworks hardware is unplugged. Again -- the iGesture Pad does work in the virtual XP system, but this could be provided via the host system of course. When it doesn't show up in the client OS, it's probably because it's only known to the host OS and the host just tells the client that there's a standard mouse&keyboard attached - and you have those. 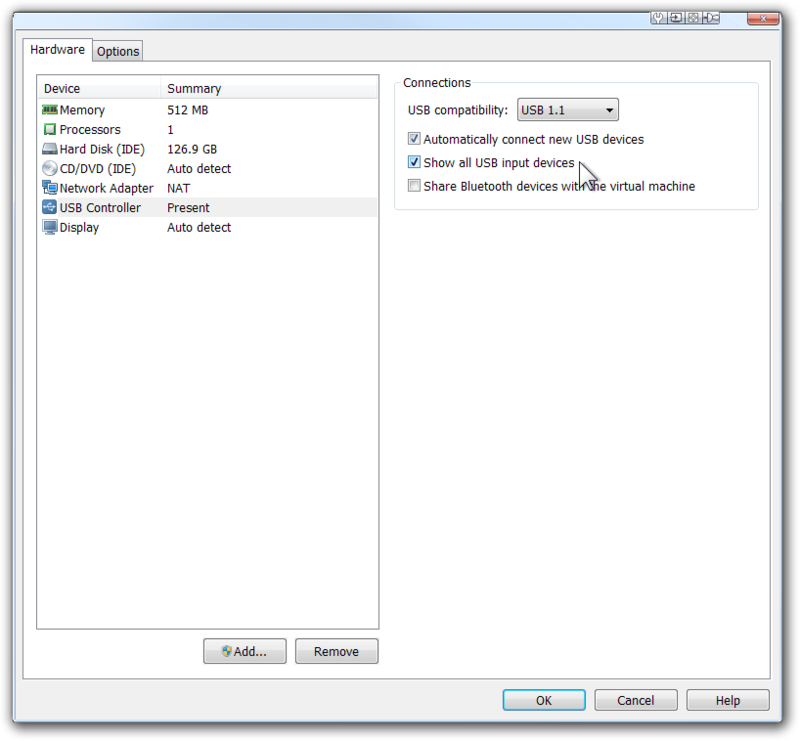 Are you using a VM tool that is standard in Win7? I would not expect that to have the mapping functionality of USB device ID's. It's probably good for a lot of "simpler" stuff but perhaps you've found a reason to use a third-party VM tool like Sun VirtualBox <-- that one is free to use, but make sure you download the correct variant, because there's a version with detailed USB support, and a version without it. Thanks -- after trying several flavors of VirtualBox and VMLite (which all did not work for some reason; I am under the impression that they are outdated and/or more or less abandoned? ), I finally got everything to work with VMWare Player. There, it is actually possible to connect like anything that is plugged into a USB port of the host system, also to the guest OS exclusively (provided under host system -> VMWare Player -> [name of guest OS] -> Settings -> USB Controller -> Show all USB input devices is ticked).